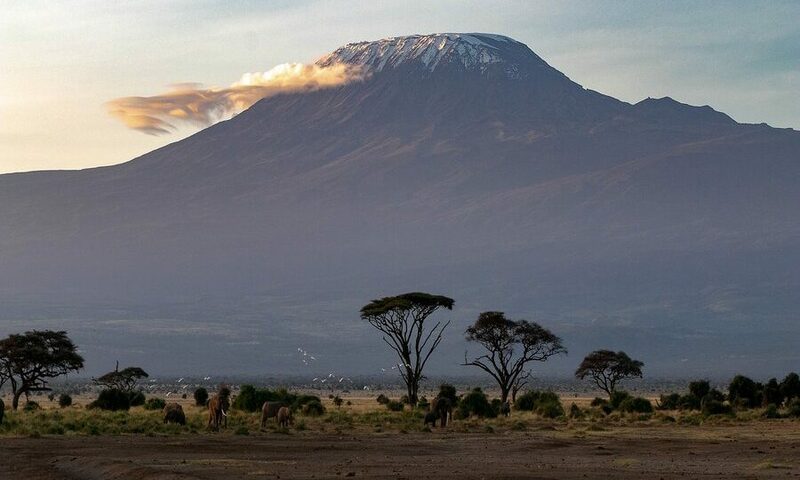 Is Climbing Mount Kilimanjaro Really for You? The Marangu Route is the only route on the mountain with hut accommodation, which makes it one of the most popular. It is also the shortest and the most crowded. 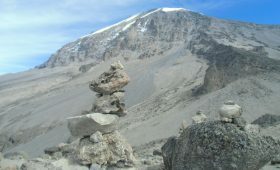 It can be completed in five days, but climbers are advised to take an extra day to acclimatize at Horombo Hut in order to increase their chances of reaching the summit. Hans Meyer Geographer from German and Austrian Mountaineer, Ludwig Purtscheller made success climb to Kilimanjaro summit Uhuru. Peak. In the following years more Kilimanjaro trails were established to trek Kilimanjaro to the summit, Kilimanjaro trails are Machame, Rongai, Umbwe, Lemosho and Shira. Kindly note acclimatization is important to guarantee your success. The average time to complete the trek is six days, which is quite short for a mountain this tall, but the trails are steep and you should prepare yourself months in advance, both physically and mentally. Physical endurance is a must, but mental stamina is even more important. After all, you will be trekking 5 to 10 miles (8 to 16 km) each day. Kilimanjaro trails in 6 days trip are Machame, Rongai, Umbwe and Marangu. You have time to acclimatize but it depends your origin, some people need 7 days Kilimanjaro route like Machame 7 days or Rongai 7 days. You don’t have to be a marathoner, but you should be an active person. Short runs through the park, long walks, a little bit of mountaineering will help you get prepared for the challenge ahead. The idea is to increase lung capacity. Still, being fit does not mean you will not have trouble with altitude sickness. That’s a whole different story. Altitude is not to be messed with. In fact, it is the thin air that often stands between mountaineers and the summit. Acute mountain sickness (AMS), also known as altitude sickness, is triggered when going too fast to high altitudes, not giving the body enough time to acclimatize and adapt. Symptoms include fatigue, nausea, dizziness, diarrhea and nasty headaches, all caused by the lack of oxygen. Walking slowly and spending more time in each camp helps prevent acute symptoms. Altitude sickness is nothing to joke about, as it can lead to pulmonary or cerebral edema, which can prove fatal. Travel tips about weather and how to manage is important. Take suitable climbing gears and equipment. Kilimanjaro Tanzanite Safaris Co.Ltd provides all equipment and safety measures. Modern mountaineering tents hardware, north pole and coleman are provided. I’m sure we all associate Africa with sunny days and warm weather. Mount Kilimanjaro is here to tell you otherwise. 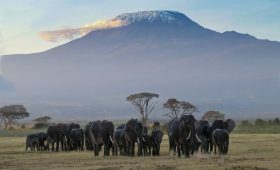 It inspired Ernest Hemingway’s short story, The Snows of Kilimanjaro, written 1938 after having been on a safari in Tanzania, in which he questions morality and philosophy, even his own existence as a writer. Contrary to the title, it is not as snow-covered as one would expect. Nevertheless, the weather can be tricky. Climbing Mount Kilimanjaro will take you from 90 degrees Fahrenheit (32 Celsius) to under 20 Fahrenheit (-7 Celsius) up on its alpine meadows, with strong winds making matters even worse. This will make you put on layers over layers of clothes. Still, you must make sure you don’t pack too many, as there is a limited weight and volume porters will carry. Best months for trekking are January through mid-March and June to October. March, April and November are the wettest months. The cold season usually lasts between December and May, and snow levels are at their highest between November and May. Encountering strange animals that are simply out of this world. Taking amazing photographs while crossing farmlands, lush rain forests, Tarakea village, Kikelelwa caves, Loitoktok, Amboseli overview, alpine meadows and lunar landscapes. Yes! No matter your training and dreams, you should think twice. Adventure-addicts might think of it as a perfect getaway, but remember this is not your average holiday. If you’re looking to relax, forget about it! It might not be a difficult summit, but you will have to fight for it! 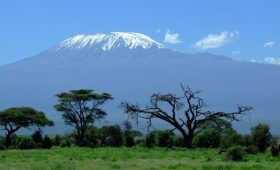 It is estimated that between three to seven people die each year on Mount Kilimanjaro, mainly due to acute mountain sickness, falls and hypothermia. Altitude sickness and poor physical and mental training cause hundreds to abandon the trails each year. Not to mention the air will get thinner as you go higher, it will be uncomfortable, even painful at times, and you may have second thoughts. You might not reach the summit, and you have to be okay with that. Most people who do not make it to Uhuru claim they still enjoyed the trek. But disappointment can easily creep in, and you must be prepared to face it. Even if you do reach the summit, you might still experience nausea, dizziness, dehydration, diarrhea and other nasty symptoms that can make the experience pretty painful. Reaching the summit of a baffling natural wonder, a snow-capped mountain at the Equator can become more than just a dream. As long as you do not underestimate the challenge and are ready to step out of your comfort zone, you too can place your foot on the roof of Africa.